Members of the Menard Family Foundation Board of Directors and their partners/spouses gathered for the Annual Children’s Gala, an Evening benefiting Father Joe’s Villages. 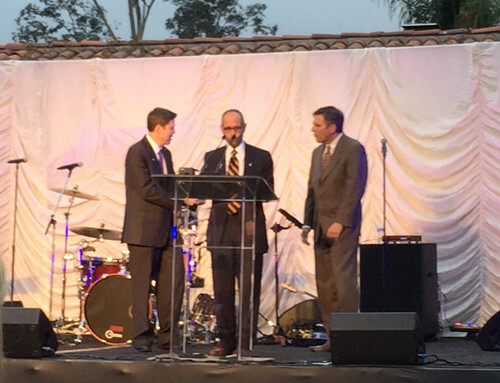 Held beneath the stars at the beautiful Inn at Rancho Santa Fe, the evening included: a VIP Reception where guests could meet newly installed Bishop Robert McElroy, and greet Fr. Joe Carroll; cocktails and a silent auction; a delicious four-course dinner; a live auction; and dancing. The Bishop Maher Award, presented to Msgr. Steve Callahan, honors those who like Bishop Leo T. Maher, have made a ‘preferential option for the poor.’ The Pierre Toussaint Award, that recognizes those, like Pierre Toussaint, that show by example that good business and good works are not only compatible, but integral, was given to National Charity League Del Norte Chapter. The Father Joe’s Villages Award was bestowed on The Lucky Duck Foundation. This award acknowledges those, who from a national perspective spread the message of Fr. Joe’s Villages that all neighbors, especially those in need, should be treated with dignity.